Over 200,000 people marched in the People’s Climate March in DC. 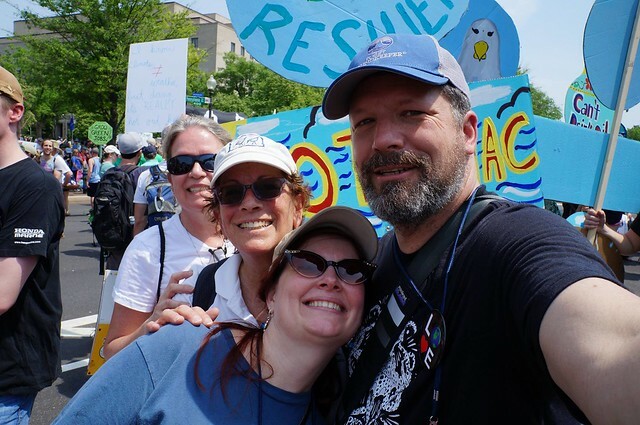 As part of the Water Protector section of the march, the Waterkeepers were a sea of blue, with the 30 totems and a huge Great Blue Heron from Assateague Coastkeeper. The visual display was very effective in connecting what we all hold dear — clean and ample water resources — to the climate movement. 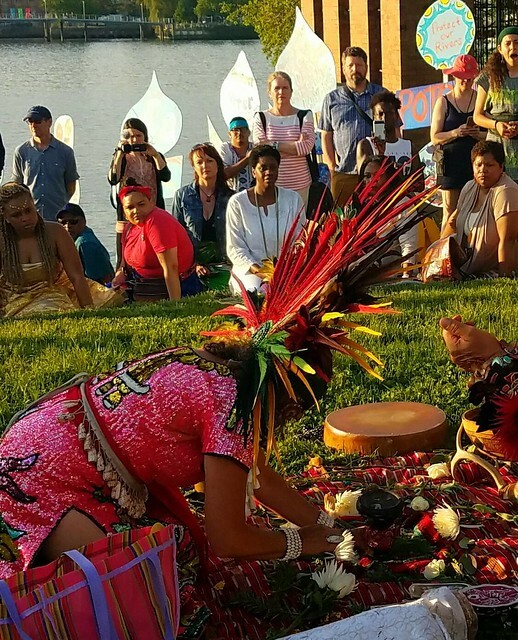 In addition, our Spring of Light and Ecohermanas partners brought our water to the march to be joined with waters from across the nation and world. Check out photos on Flickr!